Roto-Root- er Plumbers of Savannah donated $4,200 worth of plumbing equipment to Park Place Outreach Youth Emergency Shelter as part of their “Give the Gift of Plumbing” program. The home, which serves runaway, homeless and at-risk youth ages 11- 17, received seven new toilets, a new garbage disposal and a new kitchen faucet. The home is open 24 hours a day and temporarily houses as many as 12 kids or teenagers at any time. All services are free, including a safe, secure place to stay along with meals and transportation to and from school. “We didn’t have to think twice when we learned about Park Place’s mission,” said Sherry Daniel, CEO of Roto-Rooter Plumbers. 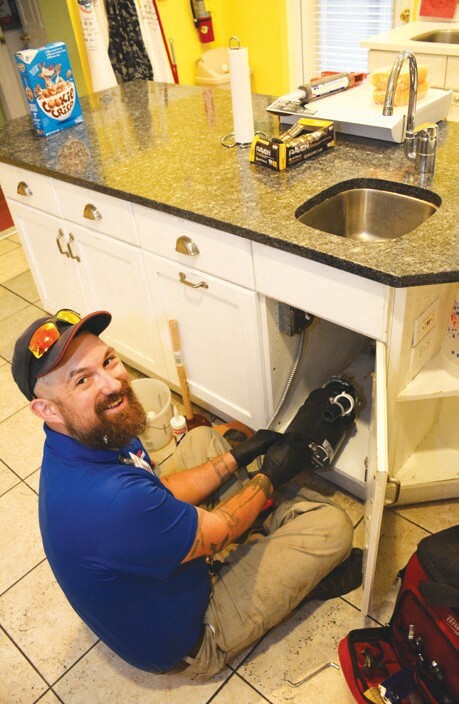 “Give the Gift of Plumbing” is a program offered by Roto-Rooter Plumbers of Savannah that allows individuals and organizations to pre-order plumbing products and services to fulfill others’ plumbing needs. For more information, visit www.rotosavannah.com.